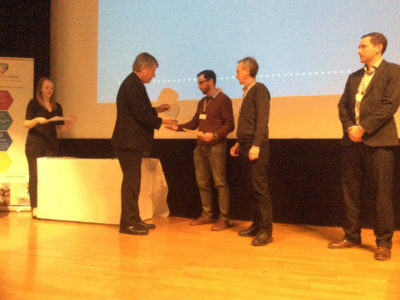 Maldaba wins Health Network Award for My Health Guide – Maldaba Ltd.
We’re delighted to announce that Maldaba won the Performance through Partnership award yesterday at the Yorkshire & Humber Academic Health Science Network Innovation, Improvement & Impact conference in Leeds. It’s not our first award for the My Health Guide project, but we’re far from complacent: it was nail-biting stuff! This award is a testament both to the staff at Maldaba and Humber Trust, and to the care partners involved in supporting the project (such as Miller’s), and the hard-working staff there. Finally it demonstrates the abilities and enthusiasms of the learning-disabled cohort to embrace this technology and to reap its rewards. Read more on the My Health Guide website.